We think everyone should be able to read, upload, and publish comics on the web for the world to enjoy. So now you can. 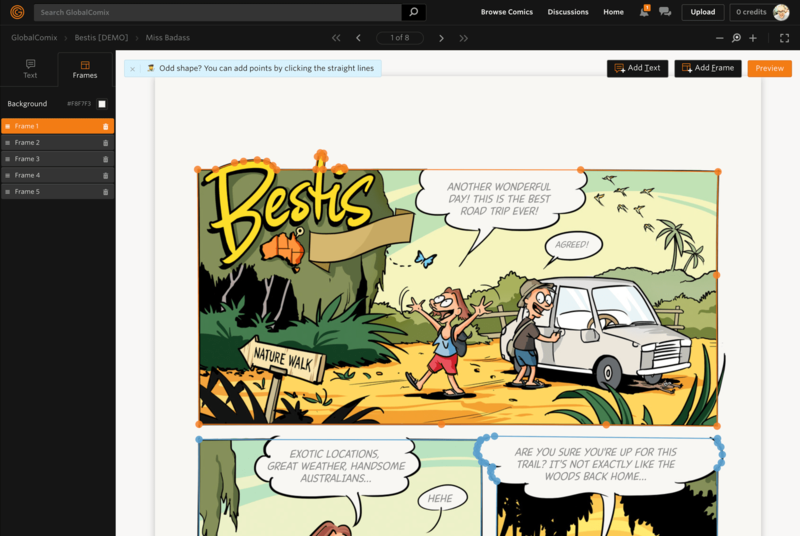 GlobalComix lets you create your own page and publish comics for free. Readers can follow your work and get a notification whenever you publish. Between release comments, messages, status updates, reading lists, and dedicated comic forums, you have many ways to stay in touch with fellow fans and followers. To help compensate creators for their work we're introducing a pay-per-page where readers pay for the pages they read. You can also accept donations from your fans and set monthly goals. 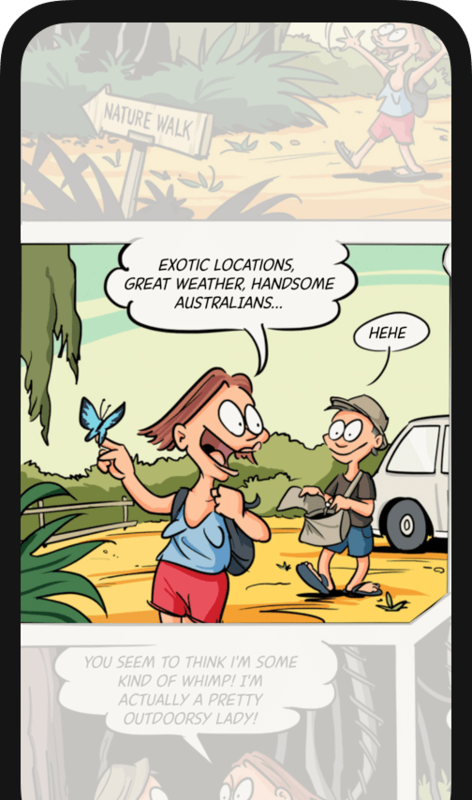 Enhance your comics directly in the browser by adding mobile friendly panel transitions as well as dynamic, translateable text. See for yourself.